The Social Justice Conference 2018 was interrupted by the campus closure caused by the smoke of the California wildfires. 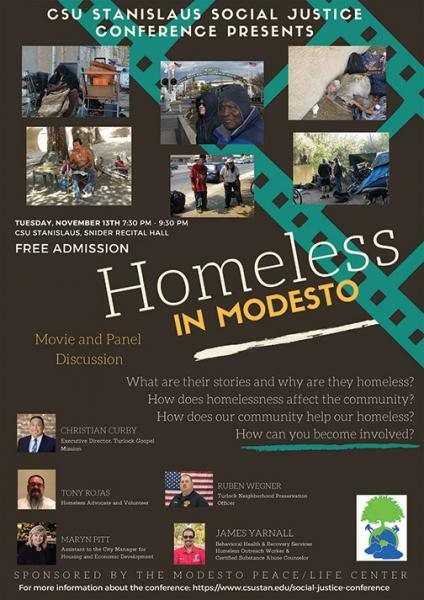 The rescheduled events are affectionately subtitled "Back From the Smoke" and will continue in spring 2019.
to challenge social inequalities and promote community equity in the Central Valley. Click on the names below to jump to their bios. Seth M. Holmes, PhD, MD, is Martin Sisters Endowed Chair Associate Professor of Medical Anthropology and Public Health at the University of California Berkeley. A cultural and medical anthropologist and physician, he has worked on social hierarchies, health inequities, and the ways in which such asymmetries are naturalized, normalized, and resisted in the context of transnational im/migration, agro-food systems, and health care. Seth has received national and international awards from the fields of anthropology, sociology, and geography, including the Margaret Mead Award. In addition to scholarly publications, he has written for popular media – including The Huffington Post and Salon.com – and has spoken on multiple NPR, PRI, Pacifica Radio & Radio Bilingüe radio programs. 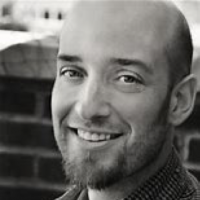 Seth’s research focuses on Medical anthropology, transnational im/migration and refugeeism, critical food studies, racialization and racism, gender and queer theory, naturalization and normalization of social and health inequalities. His landmark Fresh Fruit, Broken Bodies project investigates social hierarchies, health, health care and the naturalization and normalization of difference and inequality in the context of US-Mexico im/migration and transnational agro-food systems. This project led to the publication of the book, Fresh Fruit, Broken Bodies: Migrant Farmworkers in the United Status (California Series in Public Anthropology, University of California Press, 2013), which received the New Millennium Book Award from the Society for Medical Anthropology (2013), the Society for the Anthropology of Work Book Award (2013), the Association for Humanist Sociology Book Award (2014), the James M. Blaut Award from the Cultural and Political Ecology Specialty Group of the Association of American Geographers (2015), and the Robert B. Textor and Family Prize for Excellence in Anticipatory Anthropology from the American Anthropological Association (2016). The Spanish language edition, Fruta Fresca, Cuerpos Marchitos: Trabajadores Agrícolas Migrantes en Estados Unidos (Editorial Abya Yala, 2016), received the Premio Iberoamericano Mención Honorable from the Latin American Studies Association (2018). Dr. Dvera Saxton is Assistant Professor of Anthropology at California State University – Fresno. She was a post-doctoral research associate in SSEHRI in 2013-2014. She completed her Ph.D. in Anthropology at American University with a dissertation entitled Layered Disparities, Layered Vulnerabilities: Farmworker Health and Agricultural Corporate Power On and Off the Farm, which draws from two years of ethnographic field research in the Pájaro and Salinas Valleys of California’s Central Coast. Through her engaged explorations of farmworker experiences with worker’s compensation systems, pesticide policies and practices, state and non-profit social services, and the development of agribusiness-sponsored corporate social responsibility and philanthropy programs, Dvera documents how many of the policies and practices proposed as solutions to farmworker health actually perpetuate vulnerabilities and social and environmental suffering. 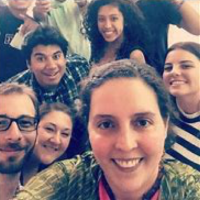 During her research, Dvera mobilized a combination of methodological approaches, developing strong rapport with farmworker families and actively participating in the campaign against the toxic soil fumigant pesticide methyl iodide. Her ongoing research and organizing activity incorporate farmworker knowledge of and experiences with toxic pesticides and work-related injuries within the context of transnational agricultural migration. Her advocacy work fosters trans-worker solidarity as well as alternative, non-capitalist strategies to redress shared social and environmental harms in underrepresented communities. is Associate Professor of Anthropology at the University of Colorado, Denver. Her areas of expertise include Latino health disparities, migration and transnational-ism, migrant access to care, cross-border health, and the occupational health of farmworkers. 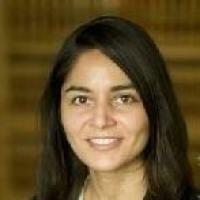 She earned her PhD in Anthropology with Distinction from the University of New Mexico in 2003 and completed a 2-year postdoctoral fellowship in Harvard University’s Department of Social Medicine (2003-2005). 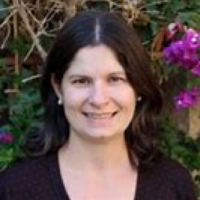 Dr. Horton served on the UCSF research faculty from 2005 to 2007, where she was lead ethnographer on an NIH-funded study of oral health disparities among Mexican American farmworker children. Dr. Horton has published over 20 peer-reviewed articles in journals such as Social Science & Medicine, Journal of Immigrant & Minority Health, Medical Anthropology Quarterly, American Anthropologist, and American Ethnologist, and was awarded the Steven J. Polgar Prize for the best article published in Medical Anthropology Quarterly by the Society for Medical Anthropology in 2011. Her research has been funded by the Wenner Gren Foundation for Anthropological Research and the University of California Institute for Mexico and the United States. Her book, “They Leave Their Kidneys in the Fields:” Illness, Injury, and “Illegality” in California’s Central Valley, was published in 2016 (U. of California Press) and earned the 2017 Robert B. Textor and family Prize for Excellence in Anticipatory Anthropology. The book draws on a decade of ethnographic fieldwork in the Central Valley to examine causes for the high rate of heat-related deaths among immigrant farmworkers. Horton shows that even as growers, the media, and state occupational safety officials tend to naturalize farmworker deaths from heart stroke, U.S. labor, immigration health care and food safety policies all play a role in this tragedy. The book challenges official accounts of the causes and prevalence of heatstroke and outlines concrete policy solutions to remedy the problem. She has written reports for Cal-OSHA on how company food safety policies compromise workers’ health in the fields, and is working with several California labor advocacy organizations and nonprofits to encourage companies to change their policies. The book also challenges the common portrayal of undocumented immigrants as “identity thieves” and questions the validity of document-related criminal charges often levied against immigrants. joined Californians Against Fracking as the Coalition Coordinator in August 2016. Garoupa White is an activist-scholar, parent, and third generation Central Valley resident dedicated to the movements for social and environmental justice in California and globally. Dr. Garoupa White holds a Master of Social Work degree from California State University (CSU), Fresno, where she focused on community organizing and ethics. Upon completing her MSW, Garoupa White spent 7 months in northern India organizing for informed self-governance for women, and 5 years organizing with and ultimately directing the Central Valley Air Quality Coalition (CVAQ) in her home region of the San Joaquin Valley, one of our nation’s most polluted air basins. In 2016, Garoupa White obtained her Ph.D. in Geography from the University of California, Davis, specializing in coalition building strategies within California’s environmental and environmental justice movements. 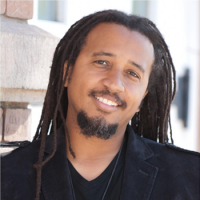 Dr. Garoupa White has taught courses in community organizing, California geography, youth community development, and environmental justice at UC Davis, CSU Fresno, and currently serves as adjunct faculty at Stanislaus State and Columbia College. Calvin Terrell is founder and lead facilitator of the Social Centric Institute, an organization he developed to provide education and training for all ages to enhance human interactions and global progress. He is a former Assistant Director of the National Conference for Community Justice/ USA Arizona Region. He has taught for Upward Bound at Arizona State University and the Arizona National Guard's Freedom Academy. For more than twenty years, Terrell has lectured, trained, and led comprehensive workshops for valuing diversity, equity, and justice building in numerous schools, corporations, and civic organizations throughout the United States. Calvin has received numerous awards and honors, including the Martin Luther King, Jr. “Living the Dream” award in 2000 from the city of Phoenix AZ for his dedication to human rights. A compelling story on Calvin’s work with youth is featured in the book Chicken Soup for the African American Soul. His reputation for excellence and sustainable impact have afforded him collaborative venues with Chief Justice Sandra Day O’Connor, Janet Napolitano, and Oprah Winfrey’s production company, Harpo, Inc., which contracted with him to provide justice seminars for Harpo employees and coaching for management. Calvin is an educator/healer at his core. His multidisciplinary techniques are engaging and relevant to all populations and integrate modern advances of technology with the ancient arts of storytelling and visualization. 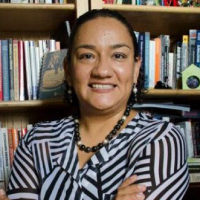 Dr. Heidy Sarabia is Assistant Professor of Sociology at Sacramento State. Her research has been shaped by her experiences as an immigrant from Mexico living in the U.S. 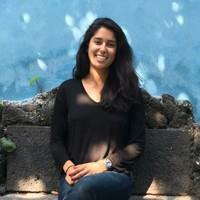 Her research focuses on globalization and transnationalism, with a specific focus on global inequality and how visas and passports shape stratification, as well as how individuals and organizations mobilize collectively to create societal change to challenge inequality and demand justice across borders. 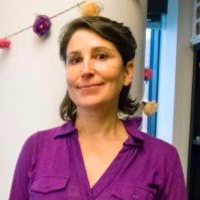 Related to the issue of stratification, her research focuses on illegality as a social regime, and how this regime shapes border crossing practices and settlement in the U.S. She also focuses on the process of immigrant adaptation and incorporation into the US. Social fabric, access to legal and medicalinstitutions, and the role legal status plays in these processes. She has published widely, including articles on “Detention, Incarceration, and Deportation,” and “Unaccompanied Undocumented Minors,” “Citizenship in the Global South: Policing Irregular Migrants and Eroding Citizenship Rights in Mexico,” and studies on U.S.-Mexico borderland violence. Sammy Nuñez, Executive Director of Fathers & Families of San Joaquin, is a state and nationally recognized expert in the field of youth development and responsible fatherhood. As an alumnus of a fatherhood development program in Northern California and a past coordinator of a nationally recognized Male Involvement and Male Responsibility program, he has the unique background of being a participant and success story of the type of services offered through grassroots youth and fatherhood development programs. Mr. Nuñez will be speaking about social justice issues that weigh heavily in his experience, as well as to how his organization has addressed the social justice challenges facing specific groups (whether they be immigrants, incarcerated or formerly incarcerated individuals, or victims of violence) in the context of his local community activism, and the services his organization strives to connect them to. There’s a nice 2016 news article here on the focus of his work. 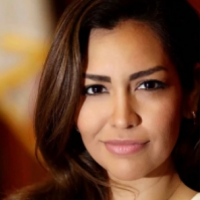 Eve Reyes Aguirre is an Indigenous, grassroots, community organizer, community advocate, wife and mother of four, born and raised in East Los Angeles. 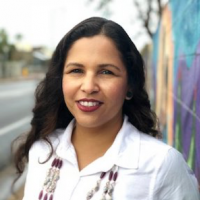 Eve moved to Phoenix 20 years ago, where she continues community organizing and advocacy work at Tonatierra Nahuacalli An Embassy of Indigenous Peoples. As an Indigenous woman, Eve also represents the women in her Calpolli (traditional community) annually at the United Nations Permanent Forum on Indigenous Issues as well as at the Global Indigenous Women’s Caucus. Eve has served as the Co-chair for the Global Indigenous Women’s Caucus and currently serves as the Special Rapporteur. At the International level, Eve works alongside other Indigenous Women to bring awareness to the political, social and economic challenges affecting Indigenous Women and Peoples globally. Eve also organizes at the grassroots level regionally and locally to strengthen traditional identity, equality and well-being of Indigenous Women and all Indigenous Peoples. 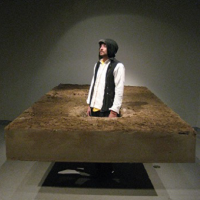 Caleb Duarte is best known for creating temporary installations using construction type frameworks such as beds of dirt, cement, and objects suggesting basic shelter. His installations within institutional settings become sights for performance as interpretations of his community collaborations. Duarte has created public works and community performances at the World Social Forum in Mumbai India, Santiago de Cuba, Cuba, El Pital, Honduras, and throughout Mexico and the United States. He has collaborated with autonomous indigenous Zapatista collectives, communities in movement, and working children and refugees. Duarte is co-founder, along with artist MIa Eve Rollow, of EDELO, a Spanish acronym for (Where the United Nations Used To BE). EDELO was a house of art in movement and an artist residency of diverse practices in Chiapas Mexico. The project challenged the traditional artist residency and art spaces in that it placed residents alongside rural autonomous communities that have been using performance, theater, poetry, and a rich visual culture to demand drastic social, political, and economic change. The space invited collaborators to live and create within a period of time. Residents were from PHDs to jugglers, contemporary artist, activist, educators, rural farmers, and autonomous community members. Through EDELO, Caleb is lead curator of ZAPANTERA NEGRA, in collaboration with Rigo 23, Emory Douglas and Mia Eve Rollow. Zapantera Negra united Zapatistas (EZLN) with Black Panther Party esthetics to investigate the use of the body and visual culture in both distinct political and artistic movements. Caleb is professor of sculpture at Fresno City College in Fresno California where he has his studio. He continues to work with Central American unaccompanied minors currently seeking asylum working in community performance, sculpture, film, and painting. Elisa Oceguera is a PhD candidate in the Cultural Studies program at UC Davis, where she investigates the role of care labor in sustaining queer sociality in farmworker communities. Her research interests include community-based methodologies, food politics, critical race theory, environmental justice, testimonios, autonomous Marxism, queer theory, epistemologies of resistance, and community formation and social movements. Her dissertation is entitled In and Against Community: Heterodox Subjectivities in Agricultural California. Elisa has published on “Intersecting Differences: Organizing for Social Change in Low-Income Communities” and “Ethics, Collaboration, and Knowledge Production: Digital Storytelling with Sexually Diverse Farmworkers in California.” As a queer xicana organizer, questions of praxis are constantly at the forefront of her work. Elisa earned undergraduate and graduate degrees in Ethnic Studies (from Humboldt State and San Francisco State). Through her participation in Accion Zapatista (a collective committed to theorizing and practicing Zapatismo in their own locale), she learned about the significant relationship between research, action and dignity. She hopes to continue engaging in community-based research projects that seek to build community self-determination. Roza Calderon is a Geoscientist, social justice activist, community leader and passionate advocate for human rights. Roza earned her baccalaureate from Humboldt State University where she focused on geopolitical and cultural research. She works in the field of Geospatial Science and intelligence, serving as a contractor with Federal and State Agencies on Environmental, Agricultural, and Defense projects. As a research geographer and geoscientist, activist, small-business owner, mother, and former refugee, Roza has dedicated her life’s work to building relationships and offer solutions to the struggles of the people in her community. She draws on many years of experience in GIS, research, environmental policy and planning. Her recent candidacy for California’s 4th congressional district was endorsed by Dolores Huerta. 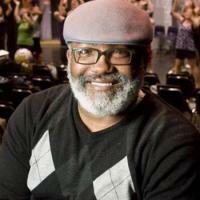 Corey Mitchell is director of Theater Arts at Northwest School of the Arts (Charlotte, NC). In 2015 he received the inaugural Tony Award for Excellence in Theatre Education. This prestigious award recognizes a K-12 theatre educator in the U.S. who has demonstrated monumental impact on the lives of students and who embodies the highest standards of the profession. Over the course of his 23+ years in teaching, Corey has garnered significant recognition as a director, performer and teacher, including the 2018 Charlotte Post Foundation’s Educator of the Year Award and the 2007 award as North Carolina’s Outstanding Theatre Arts Educator. In addition to his acclaimed teaching for Northwest School of the Arts, Corey is involved as a director and actor with the Charlotte-area theatre community. He is a strong advocate for arts education through his work on the Board of Directors for the North Carolina Theatre Conference. Additionally, Mitchell, his colleagues, and his students are the subject of the 2015 feature-length documentary, Purple Dreams. The film chronicles the journey of Northwest's production of The Color Purple and its journey to the main stage of the International Thespian Festival. With past and present students performing, writing, and composing for community, university, and regional theatre, as well as theme parks, the West End, and even Broadway, Corey Mitchell is proudest of the love for the stage he instilled in thousands of young artists over the years, a number of whom are now enjoying successful careers in professional theatre. Dr. Antonio Tovar-Aguilar is Executive Director of the Farmworker Association of Florida (FWAF), a grassroots organization where he works as a researcher, organizer, and educator. Dr. Tovar earned his PhD from the University of Florida (2014) and serves as Research Fellow for both the Prevention Research Center (U of South Florida) and the Southeast Coastal Center for Agricultural Health and Safety (U of Florida) and serves as Interdisciplinary Research Leader for the Robert Wood Johnson Foundation. As a medical anthropologist, Dr. Tovar has published community-based participatory research studies on a wide array of topics, including strategies of health and safety among citrus harvesters; physiologic impact of pesticides and heat on farmworkers; the effects of climate change on workers and farmers of Florida and Puerto Rico; women farmworker access to daycare; and the mental health of Haitian and Hispanic farmworkers. As a pesticide and poison investigator for the Florida Department of Health, Antonio reviews occupational cases of acute pesticide exposure and performs outreach and education for affected communities. Other research projects have focused on heat-related illness symptoms among Florida farmworkers and Pesticide Risk Perception and Biomarkers of Exposure in Florida Female Farmworkers. 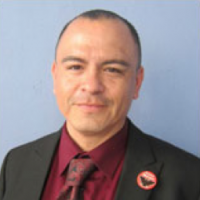 Dr. Tovar is Secretary/Treasurer of the Food Chain Workers Alliance (FCWA), Coordinator at the US Food Sovereignty Alliance (USFSA), Board member of the Community-Campus Partnership for Health (CCPH), and Board member of the Coalition of Agricultural Workers International (CAWI). 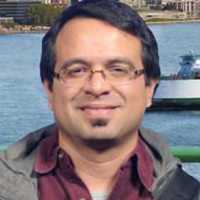 Dr. Tovar has also coauthored multiple Policy Statements for the American Public Health Association (APHA), where he serves on the Occupational Health and Safety section’s Policy Committee. As a journalist, he covered Mexico, the Caribbean, and Central America. He covered the beginning of the Periodo Especial in Cuba, the Zapatista movement in Chiapas, and the Peace Agreements in Guatemala and El Salvador. Oralia Maceda represents the Binational Center for Indigenous Oaxacan Development (CBDIO), which implements projects on worker’s rights to provide orientation, education, training, counseling and referrals. CBDIO promotes intensive training of indigenous interpreters as a medium of communication between monolingual indigenous migrants and various government institutions. CBDIO also works to increase the participation of indigenous women in the life of the migrant community, providing training in and promotion of gender equality so they may exercise self-determination in their civic lives. CBDIO promotes health education on prevention and treatment of illnesses and facilitates access to health and social services, and helps indigenous migrants learn how to improve the living conditions of the communities in which they reside. Marisol Aguilar, Esq., staff attorney with the Modesto office of the California Rural Legal Assistance (CRLA), works with low-income individuals on social justice efforts and implementation of community equity initiatives. As Director of their Community Equity Initiative team, she works on environmental justice and infrastructure issues alongside community members residing in unincorporated marginalized areas, working in partnership with community organizations, researchers and local leaders to identify complex areas of need specific to local communities. Throughout California hundreds of thousands of people live in Disadvantaged, Unincorporated Communities (DUCs). DUCs range from urban pockets that are excluded from cities, to more remote, densely settled rural communities. Residents in these communities often live without the most basic features of a safe and healthy environment —potable drinking water, sewer systems, safe housing, public transportation, access to healthy food, sidewalks, streetlights and parks— due to decades of neglect and exclusion from formal decision making by city, county and state governments. The Community Equity Initiative (CEI) is a multi-strategy effort designed to address and eliminate social, political and environmental factors that negatively impact DUCs. It was established to focus CRLA resources towards changing patterns of historic inequality in rural regions of California. In partnership with PolicyLink and the California Rural Legal Assistance Foundation, CRLA staff work alongside community leaders to raise awareness of DUCs, increase investment in community infrastructure, advocate for equitable development, promote environmental justice, guarantee fair representation and build leadership capacity, so that residents can engage meaningfully in decision-making that impacts their neighborhoods and their families. Marisol earned her law degree from the Ohio State University Moritz College of Law. 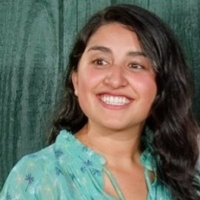 Sophia Garcia is Geographic Information Systems (GIS) Analyst for the Dolores Huerta Foundation, a nonprofit organization dedicated to the pursuit of social justice in disadvantaged communities. She is part of a new team helping the foundation move towards the utilization of big data and maps to enhance the work of the foundation. Sophia knows that data is knowledge and believes that nonprofits can reach a greater audience with specific data and maps for their organizations. Sophia’s experience with GIS began at Wellesley College, where she earned a BA degree in Environmental Studies. Since then, she’s enhanced her GIS experience in the industries of agriculture, transportation planning, public works and academia, including work for the Kern Council of Governments, Kern County Department of Agriculture and Measurement Standards and Kern County Department of Public Works. Pam Whalen is Organizing Director for the Dolores Huerta Foundation. She has extensive experience in the field of organizing and civic engagement. She joined the United Farm Workers Union (UFW) after graduating from UC Santa Cruz with a degree in Latin American Studies and participated in the Gallo Strike and Boycott in 1973. She also oversaw the Agricultural Labor Relations Board Elections in the Merced region. She went on to work for the Service Employees International Union (SEIU) for 22 years where she organized over 10,000 home care workers. 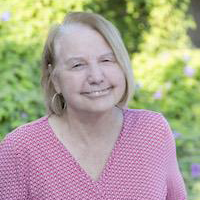 Pam is a founding member of the Community Alliance newspaper and the Central Valley Partnership. Lourdes “Lulu” Oliva is a community organizer in Fresno County with the Dolores Huerta Foundation. Lulu focuses her work on empowering Spanish speaking migrant agricultural workers and immigrants of Latin America. As the first in her family to graduate from college and as an immigrant from Guatemala, she uses her voice and personal experiences to communicate a positive message to many immigrant families and their children who have shared similar struggles. “Lulu,” as she is known by her radio audience, is passionate about advocating for women, single parent families, and immigrants and their journey towards acculturation and success. 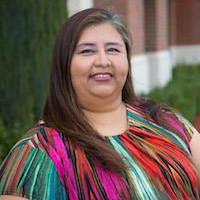 She is an editor at the Community Alliance Newspaper, and has been a volunteer radio producer and DJ for Radio Bilingüe, the National Latino Public Radio Network for seventeen years. Voice for the Voiceless is a solo exhibition featuring the work of Malaquias Montoya, one of the founders of the social serigraphy movement in the San Francisco Bay Area in the mid-1960s. The paintings, silkscreens, charcoals and oil pastels, address three prominent themes: injustice, empowerment and international struggle. The works in this exhibition are intended to raise awareness and pay homage to those whom the artist calls the “silent and often ignored populace of Chicana/o, Mexican and Central American working class, along with other disenfranchised people of the world.” What better role for art at this critical time in our history? A UC Davis Professor Emeritus, Malaquias Montoya is credited by historians as one of the founders of the social serigraphy movement in the San Francisco Bay Area in the mid-1960s. He has lectured and taught at numerous colleges and universities including Stanford, UC Berkeley, the California College of Art, the University of Notre Dame, and the University of Texas, San Antonio. 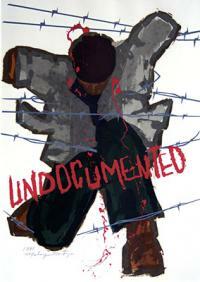 Montoya’s unique visual expression is an art of protest, depicting the resistance and strength of humanity in the face of injustice and the necessity to unite behind that struggle. Montoya is co-founder of Taller Arte del Nuevo Amanecer, a community-based art center in Woodland, where he continues to teach. In 2011, the UCLA Chicano Studies Research Center published a full-length monograph about Montoya and his work. Free parking in Lot 2 for reception. Gallery closed on 11/12 and 11/22-24. Experience Showing (work x family), a 28-foot, six-screen photography exhibition with an original soundscape that reveals the intimate choreography of everyday life. Showing explores the push and pull of work and family—a universal balancing act with no fixed equation. 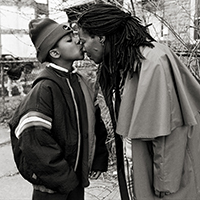 Showing (work x family) is a project of Working Assumptions, a nonprofit organization that collaborates with artists to encourage conversations about work and family and to advance the power of nurturing as a resource for humanity. What are their stories and why are they homeless? How does homelessness affect the community? How does our community help our homeless? Panel discussion with Christian Curby, Tony Rojas, Maryn Pitt, Ruben Wegner and James Yarnall. 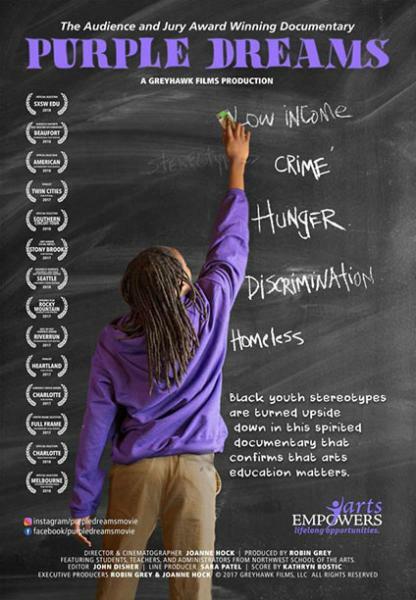 Black youth stereotypes are turned upside down in this spirited documentary that confirms that arts education matters.